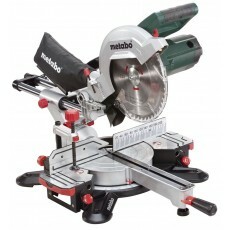 The 254mm slide mitre saw is a good all round medium-sized saw. These saws can be used to cut wood, for a range of different applications. From door frames to picture frames, mouldings and skirting. The slide attachment on the mitre saw allows wood of greater width to be cut, since the blade can be moved forwards and backwards.